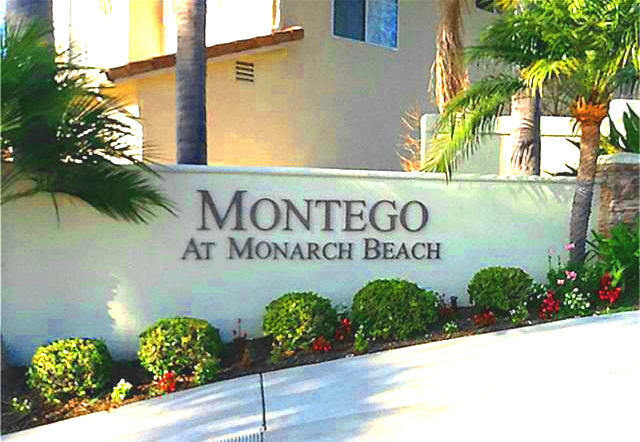 Search all Montego homes at Monarch Beach currently listed for sale in the MLS, including short sales and foreclosures. For more information about any of these Montego Homes, call us at (949) 888-6788 or read more about the Montego Real Estate options, or visit our Dana Point Real Estate section for other Dana Point Homes, including other Monarch Beach homes. The Montego Real Estate offers options of single family residences, all of them of two stories, with options for 2 or 3 garages, 3 to 4 bedrooms and 2.5 bathrooms, and 2000 to 2300 sq ft in size. Montego's streets are named after fish in Spanish, include: atun (tuna),tiburon (shark) ,ballena (whale) and camaron (shrimp), and the neighborhood's gated entrance is walking distance to access to the trails that head to Salt Creek Beach and Park. OCExecutives specializes in real estate transactions of Montego Homes in Dana Point, California. Contact us today to sell real estate or buy real estate in the Montego community of Dana Point or for more information about any of these Montego homes. If you would like to see a list of homes in other communities in Monarch Beach or Dana Point, follow the links above, or click here for other Dana Point Real Estate.